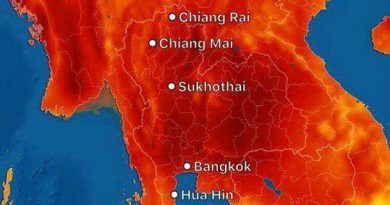 A BRIT backpacker has been found dead in police custody hours after he was arrested following a bust-up at a Cambodian hotel. 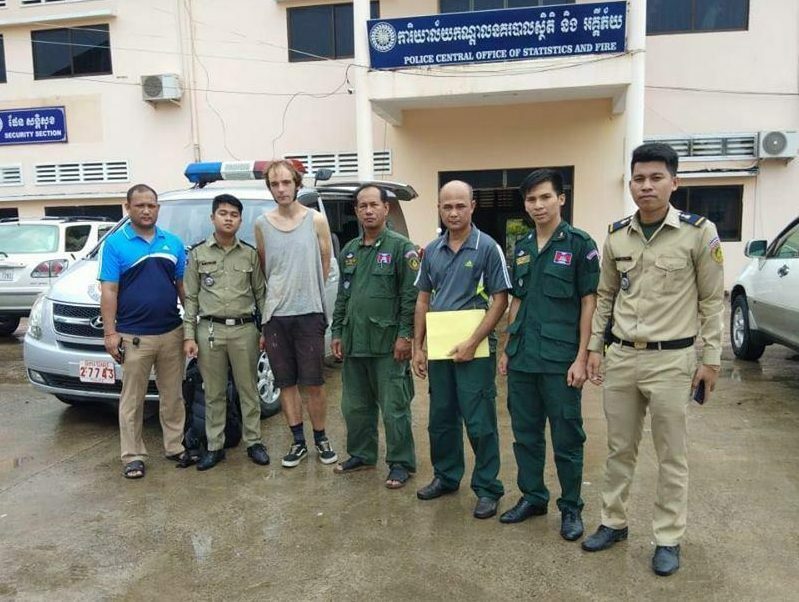 Matthew Paul King, of Luton, Bedfordshire, had been staying at the Blue Buddha in Kampot, when he had a run in with the owner. 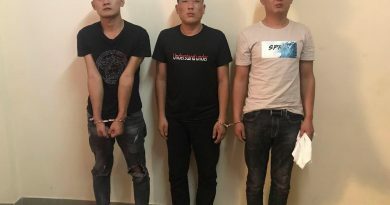 The 29-year-old tourist was pictured outside in shorts and a vest as cops arrived on August 19 to arrest him. He was taken to a nearby immigration centre and held in a cell but staff found him dead a short time later after he had apparently hanged himself. 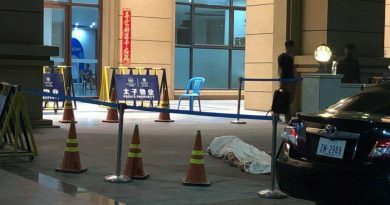 A police spokesman said: ”A British man killed himself in the General Department of Immigration in Khan Por Senchey. 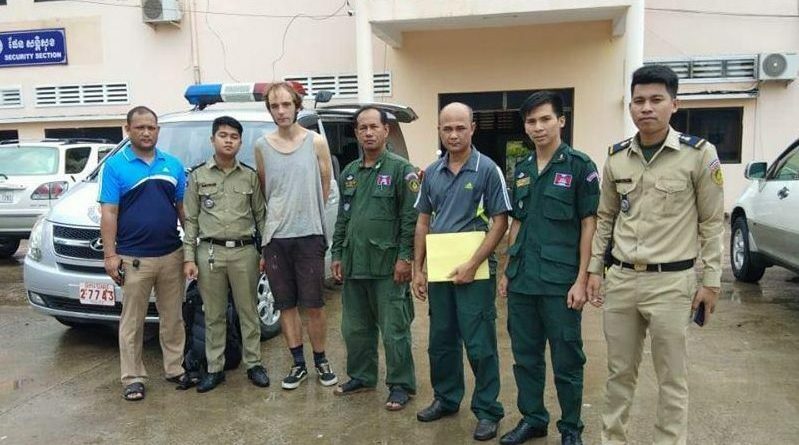 King pictured with police officials following his arrest in Kampot, Cambodia. The Blue Buddha hotel in Kampot in on the southern coast of Cambodia has declined to comment on why King was arrested. The British Foreign and Commonwealth office said: ”Our staff are supporting the family of a British man following his death in custody in Cambodia.